I know.. Me again!! Two days in a row, record for me!! Hope you are all starting to get that nearly the weekend feeling.. I know I am! 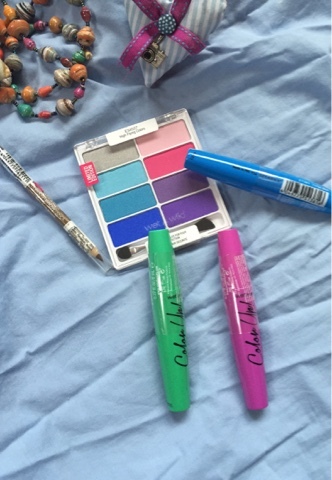 I was kindly sent these Wet n Wild Products from the upcoming Venice Beach collection so with all the rain & icky weather I had to get stuck into these bright colours- at least bring a little colour into my makeup! 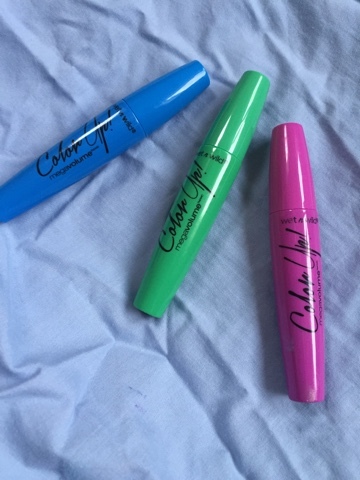 There are coloured mascaras (love love love!!!) 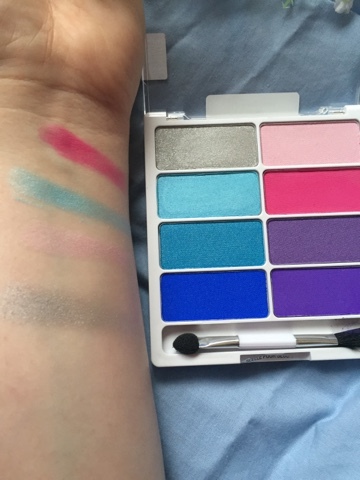 & a bright summery eyeshadow palette to have a wee look at! First up.. The mascaras! 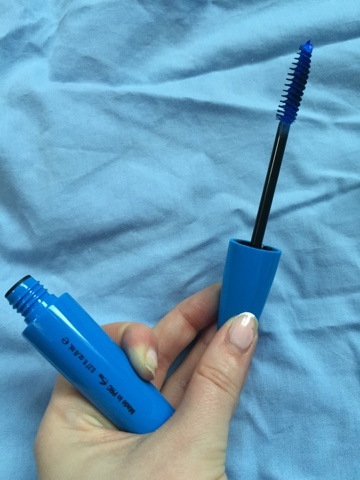 I love the concept of coloured mascaras, I had done a wee blog post before on Bourjois's coloured mascaras but these are half the price which is great! 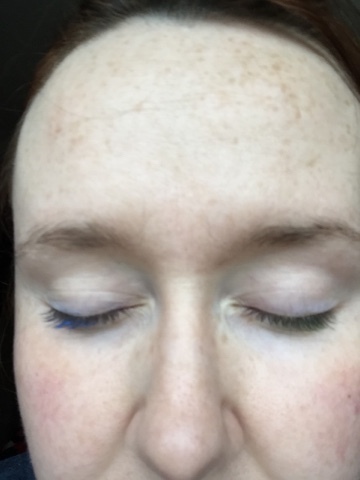 This is the blue mascara I was sent, possibly my favourite one. The purple mascara is probably my next favourite.. 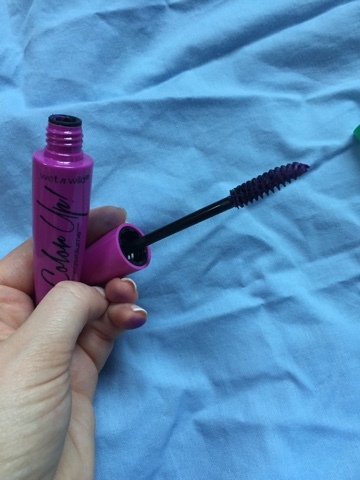 It gives the same effect as a black mascara but with a little extra umph!! 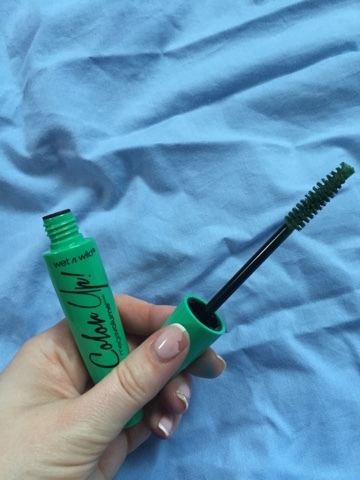 The green mascara didn't show up great on my lashes but they are naturally quite dark so if your lashes are fairer I would imagine the green would be a gorgeous shade of mascara to add a pop of colour! Here, I am wearing the blue in the left & the green on the right.. Real summery vibes from them isn't there?! 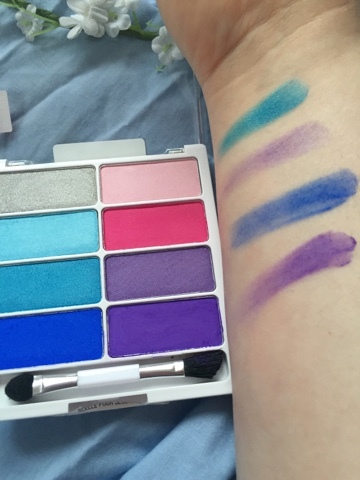 As you can expect from Wet n Wild the shadows are amazing quality, they apply buttery smooth & so pigmented. It's a dream to apply bright colours in a good formal- added bonus? The palette is under €7!! 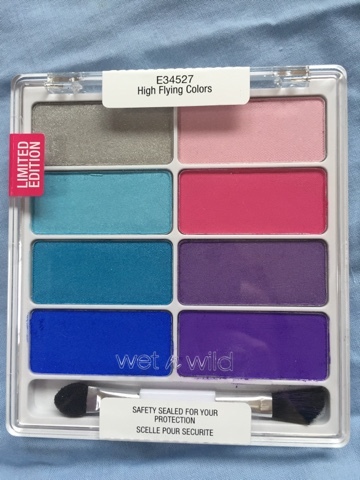 So, there you have it, Wet & Wild's summer collection! 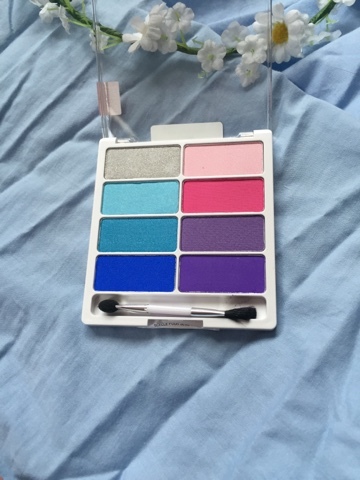 There are other palettes in it too, they should be hitting Dunnes Stores & other stores near you shortly! Until next blog post, love & hugs! I've never used such bright and vibrant colours, and amn't sure I could pull any of them off! I feel you're really brave!